Isaac Asmiov’s Foundation books form some of the primary texts of modern science fiction, second only to the author’s beloved Robot stories in terms of their lasting appeal. Offering a sprawling but thoughtful look at the rise and fall of empires, the books focus on the “science” of Psychohistory, Asimiov’s made-up hybrid of statistics and psychology, which purports to predict the prevailing trends of human behavior (and allow a plucky little collection of traders and academics to rise to the heights of a new galactic empire in the process). With a reputation for greatness that’s lasted more than 70 years and counting, the Foundation books eschew space battles in favor of cunning trade decisions and political gambits, and stand as a sterling and enduring model of excellence in their field. That’s…not exactly something even its staunchest defenders are likely to say about Warner Bros.’ Batman V. Superman: Dawn Of Justice, a comparison we draw not merely to shame the Zack Snyder mash-up movie with arbitrary match-ups against literary classics, but because one of the film’s screenwriters, David S. Goyer, is preparing to bring Asimov’s books to TV. 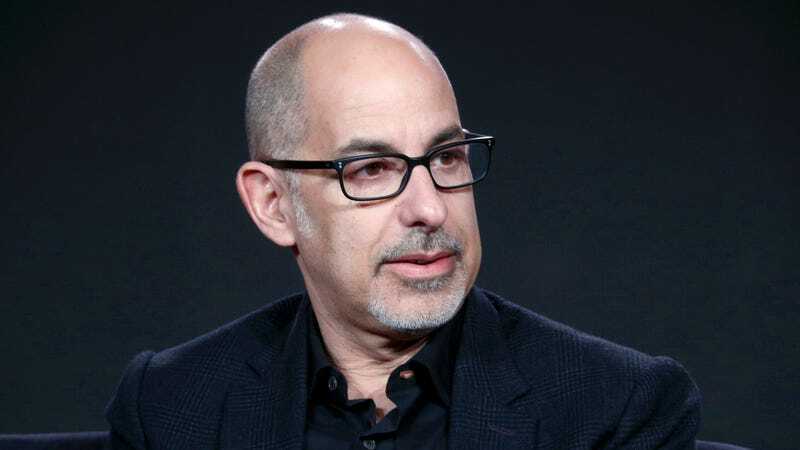 Variety reports that Goyer and Emerald City co-developer Josh Friedman are teaming up with Apple for a small-screen version of Asimov’s books. The project is just the latest effort to give Foundation the TV treatment; Westworld’s Jonathan Nolan tried the same thing for HBO as recently as 2015. They’re tricky books to adapt, though; the first novel (assembled from Asimov’s various early short stories on the concept) covers roughly 150 years of history, and is mostly concerned with world-building and the occasional tricksy bit of diplomacy. The second book, Foundation And Empire, has a more conventional adventure narrative, but, given that it’s largely about taking a hammer to the carefully constructed cosmos Asimov spent years creating, it’s hard to see it working as a first season of TV. Meanwhile, none of the books have a scenario where two characters bond over their mother’s shared name, or one tricks another into drinking his piss, so Friedman and Goyer—who also developed and produces on Syfy’s Krypton—might have to stretch themselves a bit if they hope to get this new adaptation off the ground.